Oribe stylist, Manny Rolon, visited Bliss Salon to share his perspective with salon style service. Manny covered the value of a purposeful consultation as an asset to achieving a clients desired look- he worked with shears, straight razor and clippers. Thank you Manny for such a great class! What a great color class with Eric Lindsey from Wella! We all walked away with usable tips and tricks from this class that we can now apply in the salon! Eric was fantastic and we look forward to having him back for future courses here at Bliss! We want to congratulate our client, and winner of Miss Massachusetts, Lisa Carr! It has been a pleasure supporting you through your journey. We cannot wait to see where you end up next! Gil traveled to Ion Studio in New York City for their Eye Opener: Shags, Long & Short Course along with their Men's Grooming Course. Both courses taught modern approaches to iconic hair cuts. These courses provided hands on training with flexible techniques that can be modified for a diverse clientele. Thank you to Ion's education team for such a fun an fulfilling class! Oribe professional, Coby Alcantar, came to Bliss Salon to demonstrate a curly inversion cut with inner layers. This workshop focused on curly hair textures while using the inner layer technique to remove bulkiness and create an appealing shape. Thank you Coby for an informative, awesome class! A Wella professional held an educational class at Bliss Salon where the stylists learned new color techniques. Thank you Alexandra Matiz for coming to our salon! Congratulations Michael & Katerina for completing the Wella New Talent Training Program! They attended four classes held in Boston to further develop their skills as colorists. A Wella Professional came to Bliss Salon to teach new balayage techniques to our staff. A day full of learning, beautiful hair, and lots of smiles! Thank you Jennifer and Wella Education for coming to our salon! 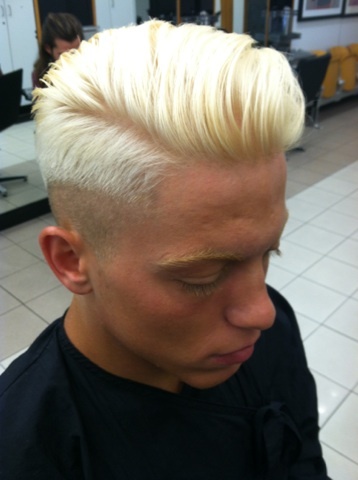 Tony traveled to Chicago for a 5-day training course designed to support in-salon education. He was introduced to the Sassoon world-renowned teaching methods, including an introduction to demonstration and lecturing techniques. The workshop also focused on the practical aspects of consultations and the communication process. Tony is now our certified in-salon educator who will be working with Kim to teach our stylists new techniques. 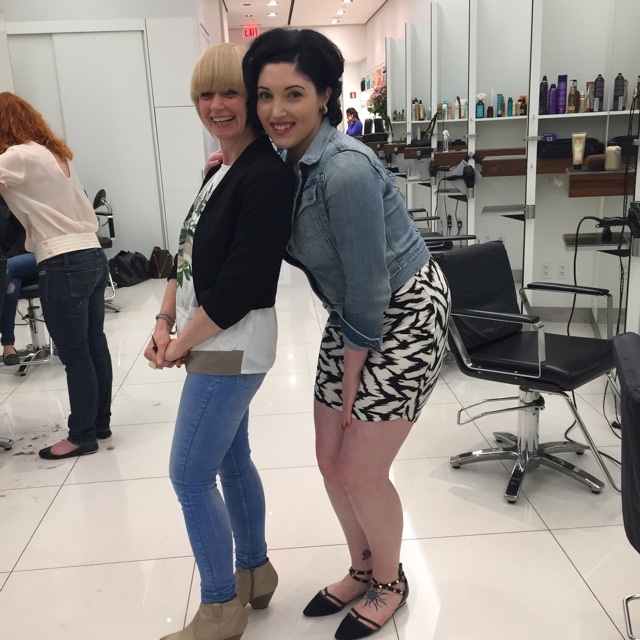 Our team attended workshops led by Alexandra Matiz at the Wella Studio in NYC. At these seminars, Jess, Erin, Lexie, and Tyla learned how to achieve a variety of red shades, from soft and natural to the most vibrant and bold red shades. 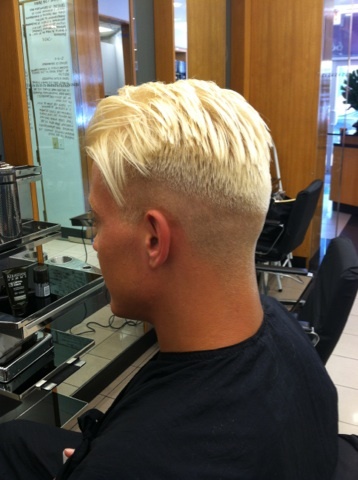 Our stylists also learned about the best application practices and the Theory of Blonding, Double Processing, Creative Glazing, Low Lighting, and Toning Techniques to ensure the most perfect, tailor-made blondes every time. Christina visited the Luxury Brand Partners University in Miami and attended a class led by Coby Alcantar. The workshop focused on controlled ways to remove weight while simultaneously strengthening the hair's interior. This technique creates movement and the illusion of seamless layers. Fun was had by all! The Bliss Crew teamed up with Bobbles and Lace at the Fashion For Fur fundraiser to to raise awareness and money for the Marblehead Abandoned Animal Shelter. We were able to raise $4,800 in just TWO short hours! Thank you to everyone who participated and donated, we could not be more grateful! Wella educator, Katelyn, visited Bliss Salon and guided our stylists through balayage techniques using Wella Hair Color. Tyla spent two days at the Vidal Sassoon Academy in NYC. The ABC cut course allows the time and space to truly perfect lines, graduation, and layering. This course provides the very best foundation for boosting skills and knowledge, by immersing oneself in hands-on practical work sessions and detailed tutorials from highly qualified instructors. 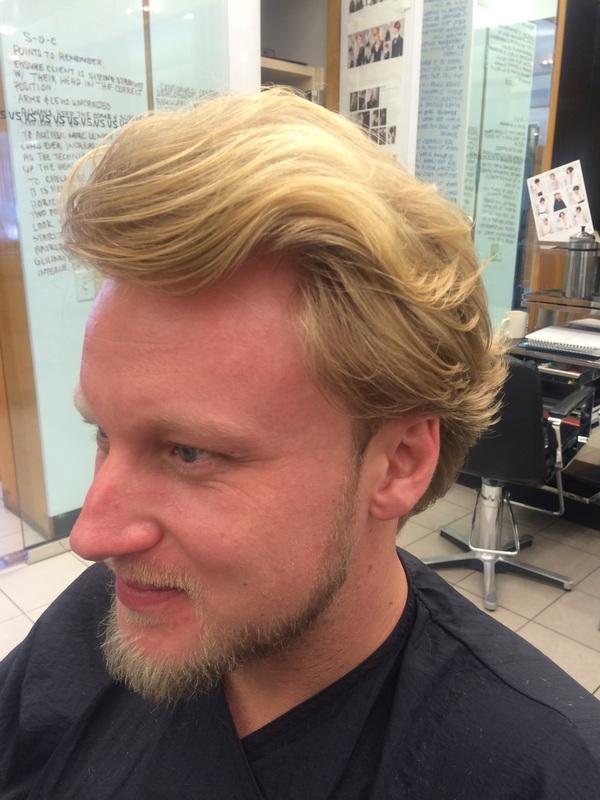 Gil and Christina spent three days training, the Vidal Sassoon way, in men's barbering. 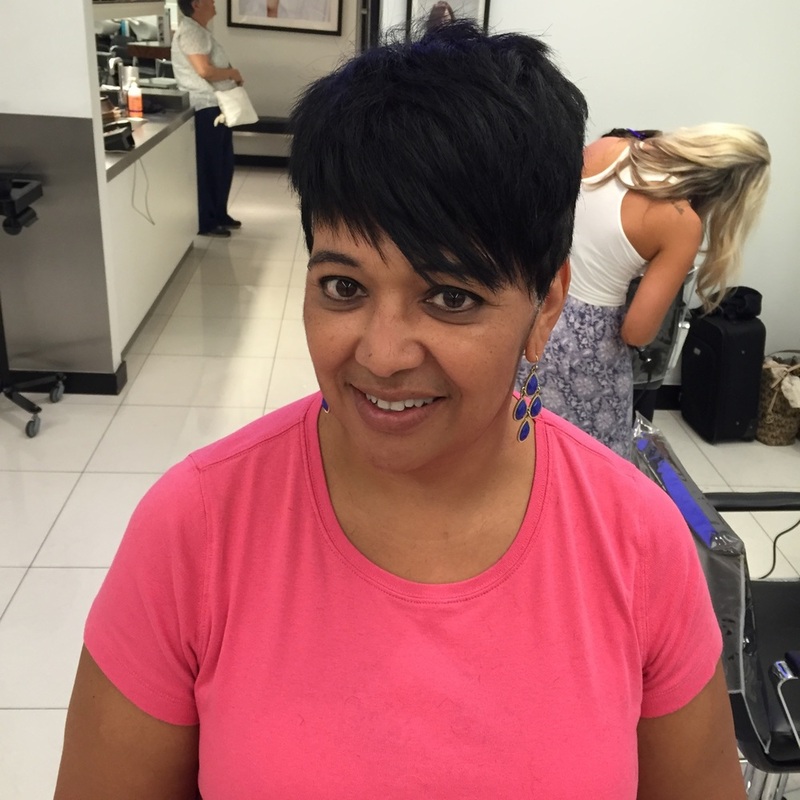 The classes focused on current cutting trends with a very technical format. They had an amazing experience and are very inspired! Christina and Gil with instructor, Susie Kim, and Sheldon! Lexie just spent three days at Evolve Foundations II class in New Hampshire! 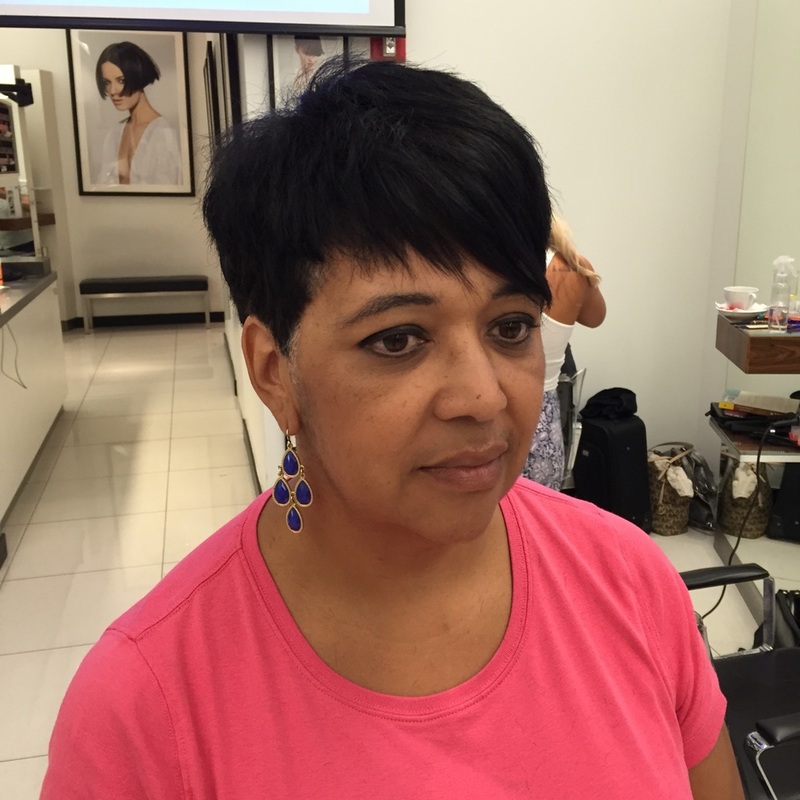 Her instructor, April focused mainly on short haircuts as well as medium length. Our stylists learned the ins and outs of applying Hothead Hair Extensions from educator Alicia Ianonne. These extensions are tape in and damage free! Perfect for someone who wants lighter hair but wants to avoid bleach, or someone looking for more length & fullness! To learn more, call us today for a consult or click here! Erin and Sam attended LP SoHo Academy in New York City. At the workshop, our stylists learned the method of balayage - an alternative way of highlighting hair! Tony visited the Vidal Sassoon Academy in Miami for 5 days. The classes he attended focused on intricate techniques to control and craft hair, to understand how shape and balance works to accentuate skin tone, and to enhance the bone structure of the face. Jen and Erin spent 3 days at Vidal Sassoon Academy in Miami learning different hair cutting and styling techniques with Susie Kim! Kim and Erin joined Oribe Educators Joey George and Kien to learn different techniques for runway hair-dos. They worked with different textured hair and created multiple looks that were creative and fun! Our ladies Kim, Sam, Christina, Jen, Lexie, Keri, Tyla, and Jess were able to work hands on with Kien, Ronnie, and Louis from Oribe Hair Care. They created hair styles influenced by Fashion Week 2014. Some of our Bliss girls with Oribe educators Louis Orozco and Kien Hoang.